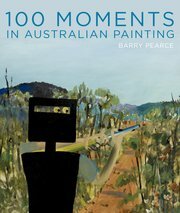 A leading modernist painter, Ralph Balson is credited with holding the first solo exhibition of purely abstract work in Australia. 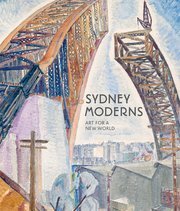 Linked with a small group of artists pursuing modernism in Sydney from the early 1930s, he was exceptional in his development towards an entirely non-objective form of painting over a protracted period. Initially Grace Crowley’s pupil, Balson later inspired his former teacher to experiment further with abstraction, although his career reaped the greater benefit from their association. Balson was apprenticed to a plumber and house painter in Dorset, where he was raised, and did not begin painting until his early thirties following his arrival in Australia in 1913. In the early 1920s he began night classes at the Julian Ashton Art School in Sydney, studying with Ashton, Crowley, Anne Dangar and Henry Gibbons, while supporting his young family through house painting. Through Crowley in particular, Balson absorbed much of the geometric constructive approach advocated by French Cubists André Lhote and Albert Gleizes. He attended the evening sketch club at Dorrit Black’s Modern Art Centre with Crowley and in March 1930 participated in the group exhibition, Progressive Art. When Crowley and Rah Fizelle established the Crowley-Fizelle School in George Street, Sydney, in 1932, Balson assisted by painting the premises. From 1934 to 1937 he painted in the studio of the school, exploring geometric Cubist principles of composition. Here he met Eleonore Lange and Frank Hinder, who introduced him to the works of Kandinsky, Léger, and Mondrian through reproductions. 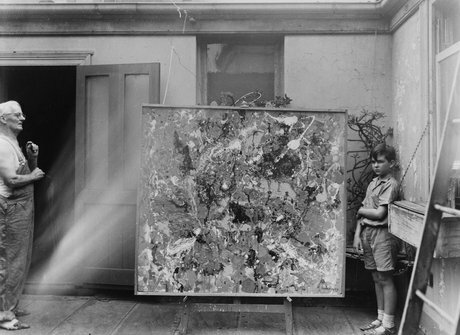 In 1939 Balson participated in Exhibition I, a group show of modernist painting and sculpture with works by Crowley, Fizelle, Lange, Hinder and his wife Margel, Gerald Lewers and Frank Medworth. The group’s united urge to abstraction, despite the isolation imposed upon them by an unreceptive Sydney artworld of the 1930s and 1940s, can be seen in an effort to draw upon deeper and more varied levels of meaning in their art than that offered by previous figurative modes of expression. Balson’s Portrait of Grace Crowley 1939, painted in his mentor Crowley’s studio, and The sisters (Family group) 1939 were shown in Exhibition I, together with Crowley’s tribute to Balson, The artist and his model 1938. Depicted in a semi-abstract style, Balson’s contributions to the exhibition served as a prelude to the complete non-figuration he unveiled to the Australian public in a 1941 solo exhibition at the Anthony Hordern Gallery. His paintings were flat geometric abstractions employing overlapping planes of colour, which the artist referred to as ‘constructive paintings’, exemplified in Construction in green 1942, completed the following year. Beginning in the 1950s, Balson simplified his forms further towards rectilinear shapes and a greater serenity of design, echoing the abstractions of Piet Mondrian as revealed in his Abstraction 1950. After visiting the 1953 touring exhibition French Painting Today, he began to adopt a more painterly-expressionist form of abstraction. This evolving style is captured in Painting no 9 1959, which is characterised by a softer palette, visible brushstrokes and kaleidoscopic fields of paint dabs, which evoke Balson’s admiration for the metaphysical function of art espoused by the American abstractionists and writer James Joyce. During this era, his colleague Grace Crowley shifted similarly towards geometric abstraction, preserving a more vivid use of primary colours and dynamic movement across the picture space. Balson retired from house painting in 1955 to devote himself fully to his artistic career. Between 1949 and 1959 he taught abstract painting at East Sydney Technical College and in 1960 travelled to Europe and the United States where he saw first-hand the most recent forms of contemporary painting. While abroad, he visited exhibitions of American minimalist and hard-edge painting and was inspired by artists of the New York School, particularly Jackson Pollock. However, it was the work of the European Tachists and textual painters such as Alberto Burri and Antoni Tapiès that made the strongest impression on him. I can realise that the energy, the atoms that reach us from the sun is the source, the rhythm of existence, and the very narrow band, the spectrum, is all we can ever hope to have to try and reach a small amount of the rhythm and relativity of the universe with the substance of paint. Through his rigorous and disciplined approach, Balson demonstrated a single-minded pursuit of pure painting throughout his career. His work has featured in the exhibition Balson, Crowley, Fizelle, Hinder, held at the Art Gallery of New South Wales in 1966, and in a retrospective organised by the Museum of Modern Art at Heide, Melbourne, in 1989.